This morning in class we did a role-play activity: you were at a Travel Agency and, as a Travel Agent you planned an itinerary in the location chosen by your client. STEP 1: prepare the IMAGES you want to use by choosing images that have no copyright but are FREE to be used – Creative Commons. STEP 2: Write the script of your video recording. or make a Power Point and then use ScreenCastomatic to record from your PC. Hi everybody! I’ve just written this post to introduce you to the study of the greatest playwight ever: William Shakespeare of course. In order to optimize our class time, it’s important that you follow this introduction. As you probably know, 2016 commemorated 400 years since the death of William Shakespeare. Therefore was celebrated all over the world! What is “Shakespere lives”? Watch the video and write the answer in your notebook or in a doc in your Google Drive. If you’ve asked yourself the question. “Why do we have to study Shakespeare?” in the following link you’ll find some answers. Why study Shakespeare? CHOOSE 3 REASONS: write them in your notebook or copy them in a doc in your Google Drive and bring them to class. 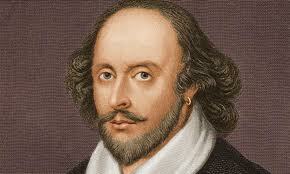 1) Watch Shakespeare ‘s short biography in the following videos. You’ll find the key events of Shakespeare’s life and work. Ready to study him in depth? See you next week for our show GUIDA ALLA VISIONE_Romeo & Juliet (are dead)See you!